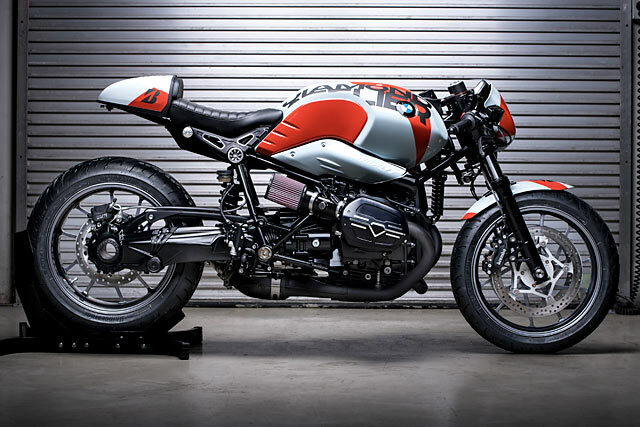 We’re huge fans of BMW’s retro lineup here at Pipeburn. 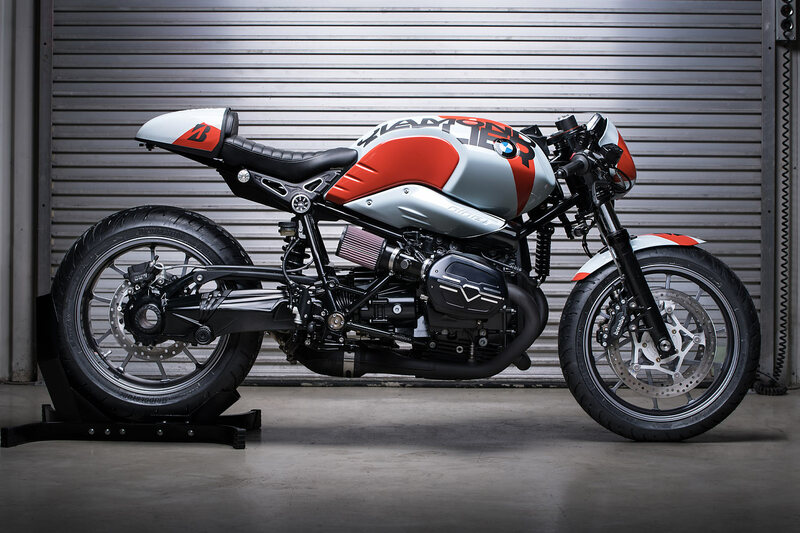 Hell, Andrew, the fearless co-founder of Pipeburn, recently shelled out his own hard-earned cash for a brand spanking new RnineT. Lots of others have too. 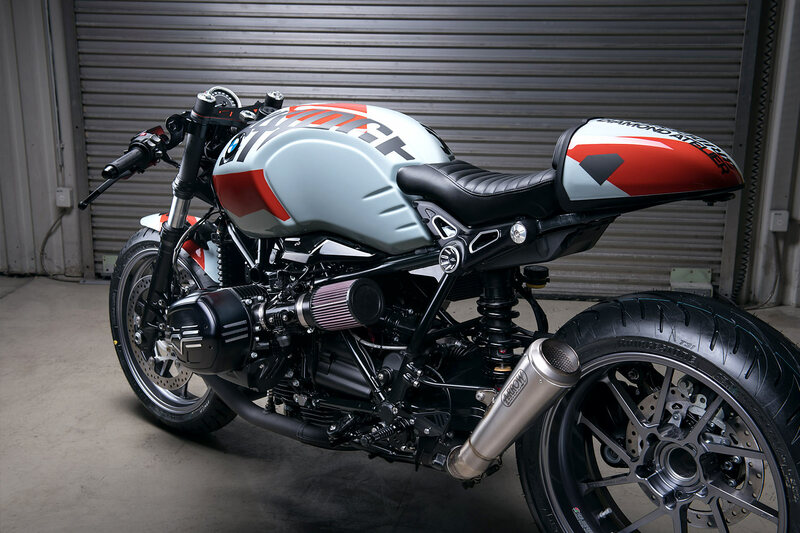 Since its release in 2014, the retro-inspired BMW has been sitting comfortably at the premium end of the market, earning praise for its handling, clean good looks and characterful engine. People love ‘em. 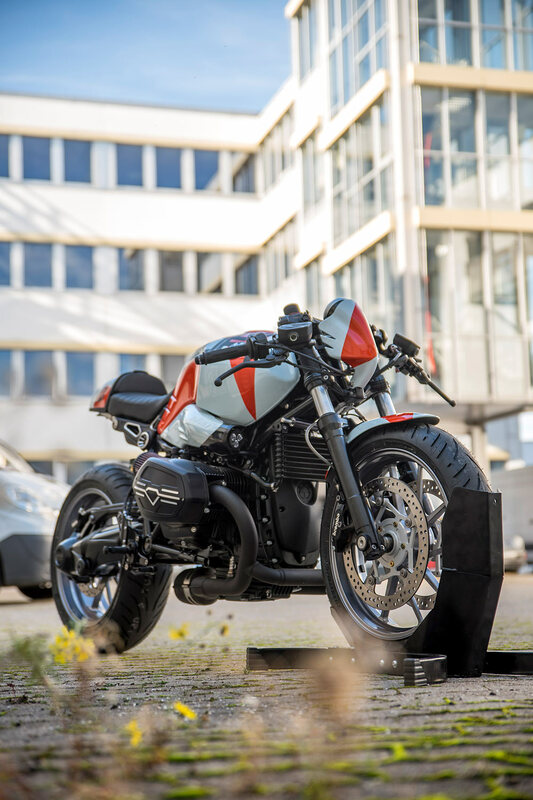 And Munich-based bike genii Diamond Atelier have made the most of Bavaria’s finest, turning out this gorgeous Bridgestone-sponsored special. 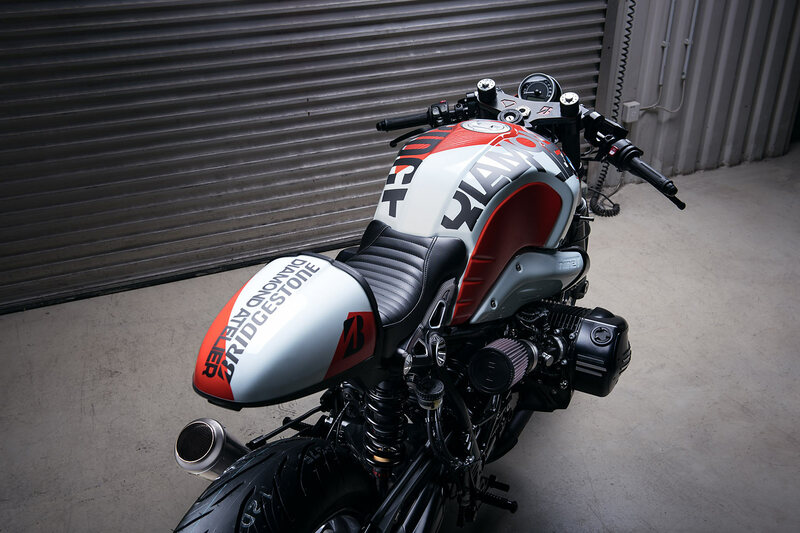 Eagle-eyed readers will know DA have already turned out a few well-sorted customs based on the model – and last year’s bike of the year winner at Pipeburn was another special based on the RnineT crafted by Diamond Atelier. And with this one sneaking in just at the tail end of 2017 they might just be in for another tilt at the title. 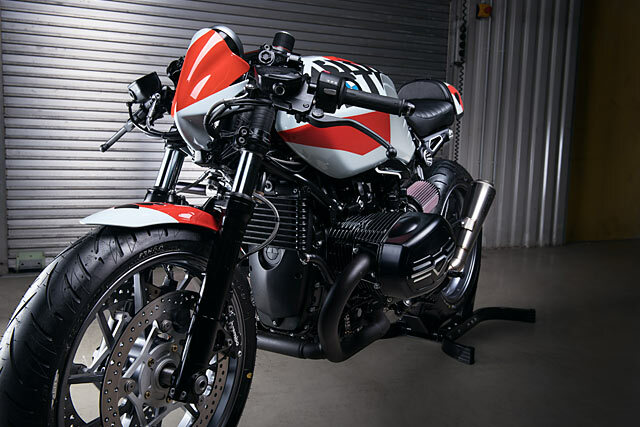 So the team at Diamond Atelier know the bike inside and out and the challenges they’d face when customising one. 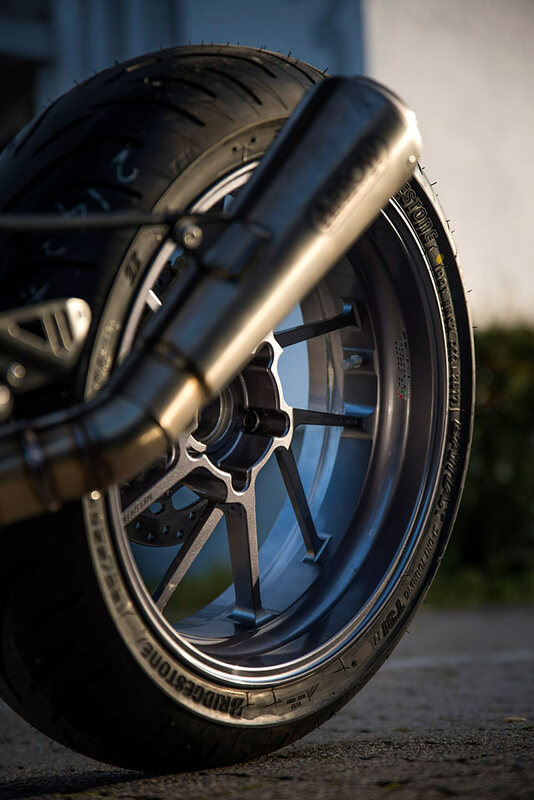 But when Bridgestone approached them to commission a build they almost turned them down. 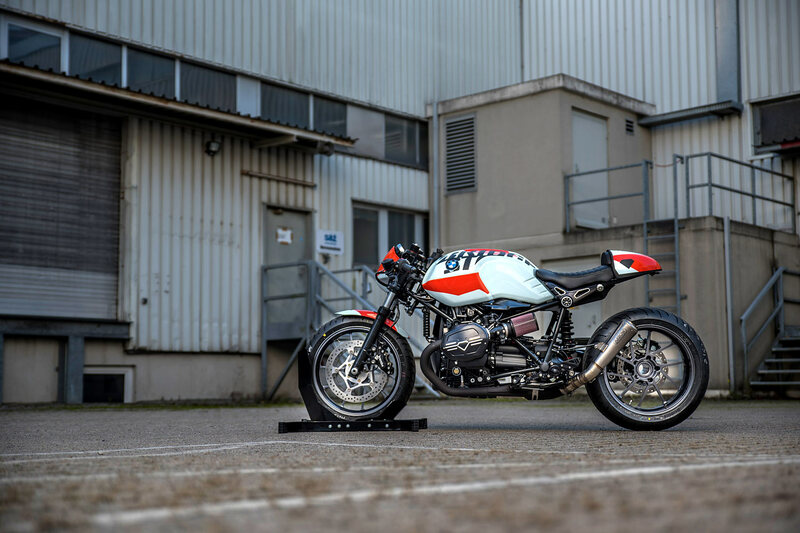 ‘It was only a few months before EICMA when they asked us if we were interested in collaborating,’ Tom Konecny, co-founder of DA says. ‘We were super stoked about the offer but were almost forced to decline due to the extremely tough timing’. 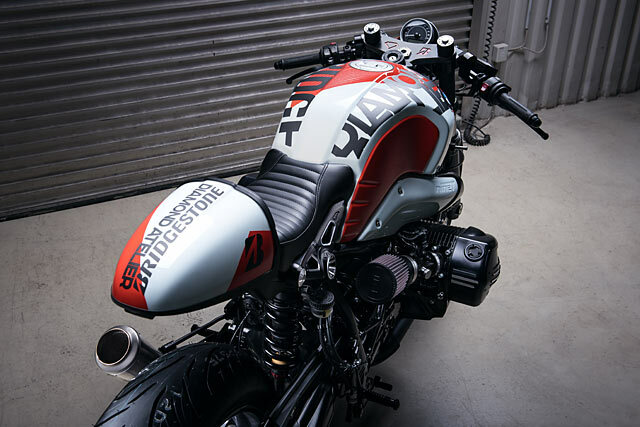 Thankfully, they shuffled things around a little, stocked up coffee and committed to the Bridgestone RnineT. The new build would be slotted in between existing projects to circumvent the one year waiting period the Munich-based shop currently have. And with a brand new donor bike provided by the team at Bridgestone, DA went to work. ‘We were completely free on the design of the bike,’ Tom recalls, ‘but naturally we were aware of the main feature would be the tires – a prototype set of 2018 Battlax Bridgestones.’ But straightaway the team hit a hurdle. ‘To give the tires the attention they deserve we wanted to mount them on lightweight Gilles forged wheels, which given the timing, we weren’t able to source from our partners in Luxemburg. The only wheels in our specified dimensions was a S1000RR front and a R1200R rear wheel.’ Some of you will be grimacing now – and unsurprised to learn there was a hell of a lot of milling and CNC machining to get it all to fit. Thankfully the rest of the build threw out less problems. 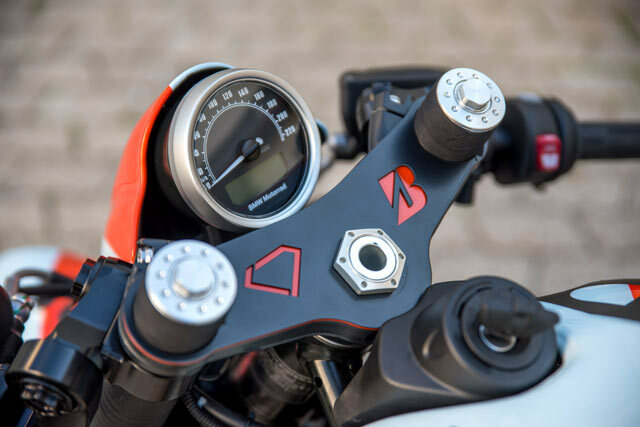 The racer runs Gilles handlebars, rear sets and frame covers. 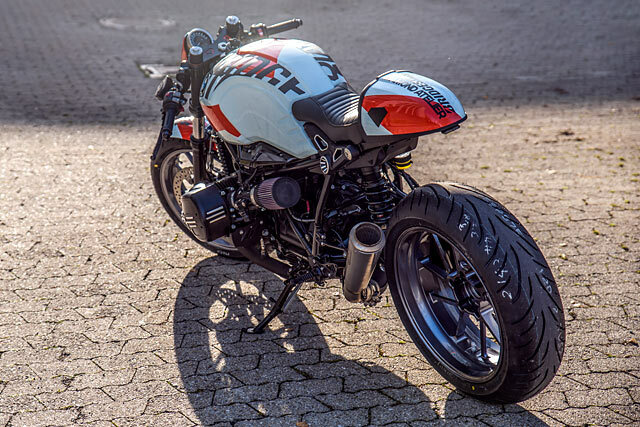 At the rear the cowling is an original BMW aluminum piece cut and narrowed to flow better with the new, stripped back lines of the Bridgestone bike. Underneath that the slimmer seat was reupholstered in the factory pattern using cowhide leather. But the team are proudest of the BMW’s nacelle that replaces the front headlight unit. ‘We’ve been working more and more with 3D printing technology,’ Tom says, ‘This attempt turned out to be very precise and well proportioned. 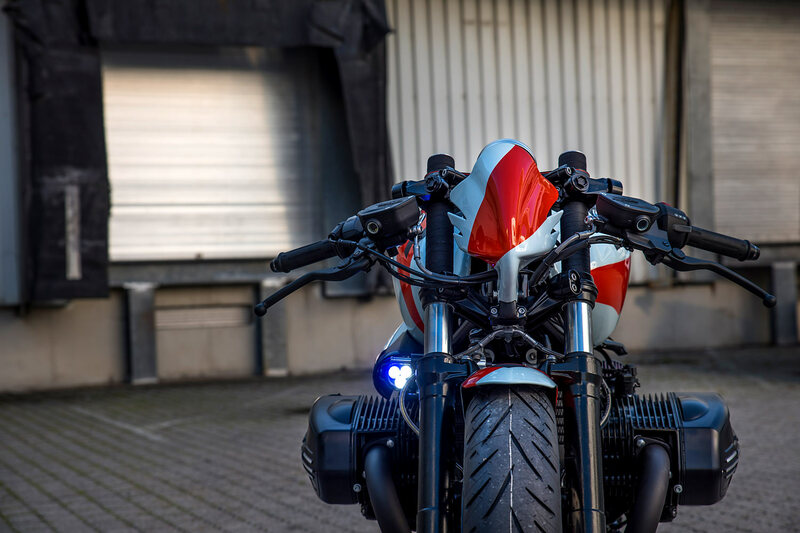 It replaces the headlight and helps blend the front of the bike to the tank.’ And where’s the headlight, you might ask? Hidden away in the air intakes. Clever buggers. 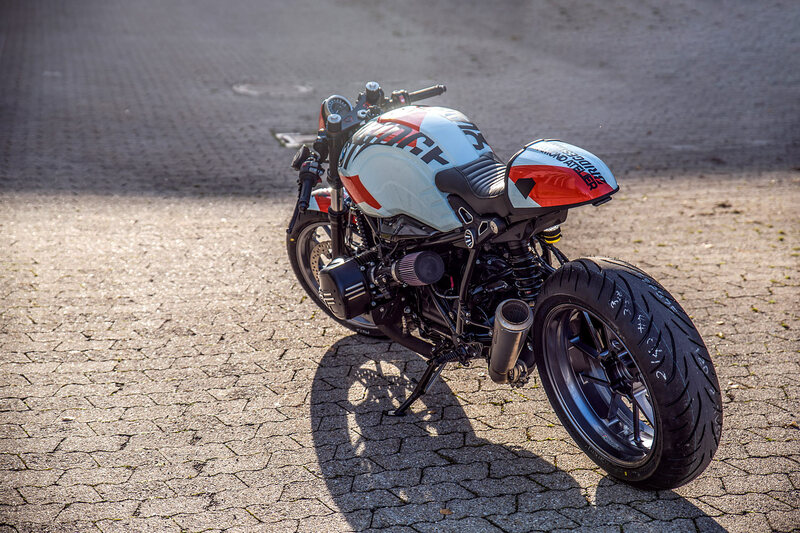 And that, ladies and gentlemen, is a fine way to end 2017; with a bike that represents the best of what we’ve seen over the last twelve months. 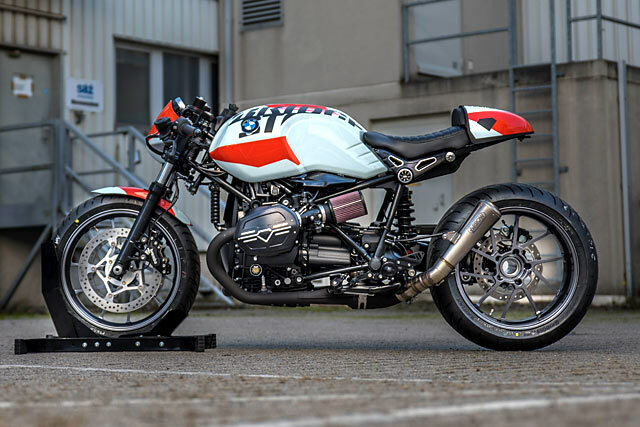 A shift away from traditional twin shocked retro bikes and towards ultra clean modern performers, tastily cut down and modified. Diamond Atelier’s in with a running chance at BOTY, don’t you think?